The European Union has always been a contentious issue in Britain. However, over the last few months the issue of Europe has risen to the top of the agenda, with some people wanting to leave the union completely. Over the weekend, the Observer published a poll which produced some alarming results, with 56% of the participants saying that they would vote to leave the EU if a referendum was held. The image of Europe, painted by a Eurosceptic press, is of an organisation that is corrupt, full of bureaucracy and over paid commissioners. This simplistic vision of Europe does not delve into the benefits of the European Union, especially its importance in facing modern global challenges. On the eve of important European negotiations over the next seven-year EU budget, David Cameron needs to tread very carefully as pressure builds on him within his own party to use the veto. Further isolation in Europe will diminish our role to shape the European Union at a time where the institution is evolving into something different, with further integration. Britain needs a sensible debate about Europe, but at the moment the Eurosceptics are the only voices being heard. Not only is EU membership important for issues such as trade and fighting climate change, it is essential if Britain wants to remain an influential player on the global stage. Though there are many who believe we could survive on our own, British EU membership is a necessity. Firstly, the Single Market has brought many benefits to British citizens. The average UK household earns between £1,500 and £3,500 per annum thanks to the Single Market. In terms of trade, the EU is by far its biggest trading partner, accounting for 50% of our business. Would the EU be willing to make a similar free trade arrangement with Britain if we were outside of it? This seems highly unlikely. Also, as the EU currently trades as a single unit, we hold more negotiating power when making deals with third countries. Even David Cameron admits that the EU offers us an advantage in global trade. A British exit from the Union would mean that we would have to negotiate trade deals across the world. As Cameron has repeatedly claimed it is better to attract foreign business to sell to 320 million consumers rather than just the British. In a globalised world, the EU offers us an opportunity to have an influence on key issues such as climate change and foreign policy. Britain’s position in the world would be weakened, as countries such as the US and China would not see us as such a strategically important ally. As an EU member, Britain is seen as bridge for EU-US relations. Britain’s role on a global stage would be diminished as bigger states see Britain as irrelevant. It’s about time that British europhiles started to promote the EU cause. For too long the debate has been controlled by Eurosceptic media and politicians intent on loosening the ties with Europe. British business needs to be more vocal in defending European membership, as has happened this week, with the President of the Confederation of British Industry warning against leaving the EU (see below). At the moment, Britain’s role in Europe is confusing at best, and this is worrying many of its allies. 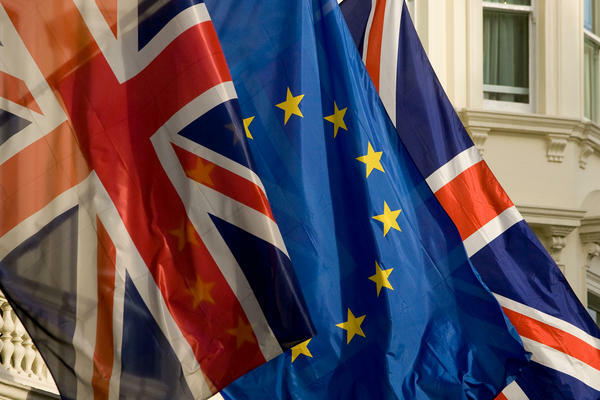 In a globalised world, Britain needs the EU as much as the EU needs Britain. The EU is changing, and rather than leaving the EU, it would be better for Britain to get more involved in the European project which would allow us to take a leading role in shaping the future of the Union. For the last few weeks, I have been back in the U.K, enjoying a break with my family. Unfortunately, the Spanish weather has not followed me and my activities are controlled by the unpredictable British weather. After a few more weeks at home, I will be heading for a new adventure in Leuven, Belgium to study a master. Due to the rise in student fees in England, I will not be the only person looking to further education in a foreign country. The controversial decision to allow universities to charge up to £9000 has meant that many people have had rethink whether higher education is worth the debt. After years of increasing numbers of students applying for university, this year has seen a reverse in the trend, with applicants down in England. Although the government may deny that this drop has been caused by the hike in tuition fees, the huge drop in applicants has not been seen in other parts of the U.K. Whilst there was a 7.7% drop in English applicants, the drop in applicants has been lower than in other parts of the U.K. which have not seen rises in the tuition fees. Welsh applicants, whose tuitions fees will be subsidised by the Welsh government to remain at around £3000, have seen a 2.9% drop, and there has been a 2.1% drop in Scottish applicants, who still enjoy free tuition in higher education. Many of the younger students are looking at alternatives to the massive debt that they will accumulate through a university degree in England. Some school leavers are looking to enter the job market, with many big companies like KPMG and BT trying to tap into the market. However, there has also been an increase in students looking abroad to study. Whilst life in the USA may be easier for English students to adapt to it is very expensive to study over there. Closer to home, universities in Europe offer both a decent price and quality education in under graduate and post graduate courses. As a member of the European Union, we benefit from the same tuition fees in other member states as domestic students. This year, 31 European universities appeared in the Times Higher Education Top 100 world rankings (http://www.timeshighereducation.co.uk/world-university-rankings/2011-2012/top-400.html ). The U.K was represented by 12 Universities, whereas the other 19 were from other European countries, ranging from Sweden to Germany. Many of these universities offer a quality education at a fraction of the price of universities in the U.K. An undergraduate degree in Maastricht University can cost €1,700. Furthermore, the language barrier is easy to overcome, giving the increase in English language courses. There are over 2,400 courses available in English in non-English speaking countries, and this number is rising. In May, Politecnico di Milano announced that the majority of the courses would switch to English from 2014. Studying for a degree in another European country would allow students to learn a new language without the pressure of achieving academically in another language. Living and studying in another country not only allows you to learn a new language, it allows you to gain an edge on competitors in the job market, having lived in another country and learned about different customs, political systems and styles of doing business. The prices in general are a lot lower than the fees for English students in British universities. This is also the case for master programmes, which also offer English language courses at good prices. I have been thinking about doing a master for quite a long time, although the financial side of it has always been a worry. For example, a course in International Relations in a Russell Group university can cost in excess of £5000, without taking living costs into consideration. Whilst there are some grants and scholarships available, many people have to self-fund these courses. For those who are not fortunate enough to have parents who can fund their master, the only option is to take out a loan, which adds to their ever growing debts. After looking around the market, a master in a foreign country is cheaper and it could also open up many more doors for people. In September, I am moving to Brussels to study a master in the Katholieke Universiteit Leuven. It seems that my course has a large portion of international students, which will be great to learn more about different cultures. Having done Erasmus and lived in Spain, I have enjoyed meeting people from a range of countries, and it has been great to learn about the diversity of other Europeans. This year I will try to write a bit more about living in Belgium and studying in a foreign country. Also, as I will be studying in a city where the main language is Dutch, I will write about how I survive with the language difficulties. One massive difference between summer holidays in Spain and the U.K is the length; whilst in Britain parents complain about keeping their children occupied for six weeks, here in Spain students have nearly three months of summer holiday. In August, Spain is practically shut down for the holidays, with many factories closing or partially opened with a reduced workforce. Many people in Zaragoza spend August outside of their cities in their village or in their apartments in Salou. However, from the middle of June until the end of July, the common thing for children to do is go to a summer camp. I don’t remember going to a summer camp when I was younger, so I guess it must be more common in Spain due to the length of the summer holiday. From May onwards, parents are bombarded with offers for different summer camps. There is definitely a variety, with summer camps in the Pyrenees Mountains and football camps in Zaragoza. Over the last few years, English summer camps have been in high demand, with students learning English whilst having fun. I am working in the summer camp of my academy for the second time, having done it in the summer of 2010. Although the summer camp can be long and hard work, ultimately it’s a rewarding experience and this year I have had great fun so far. We are teaching students between the ages 8 and 16, so there is a wide range of ages and abilities. The younger students definitely gain confidence from the experience due to the native teachers and the use of English at all times. Our summer camp offers ‘100% linguistic immersion’, meaning that all the activities are done in English, and the teachers only speak English with the students. So far, the level of the students has been very high, and although the first few days were difficult for some students to adapt to the environment, they are now trying to communicate in English as much as possible. The full immersion offers students the opportunity to practise their English and improve their oral expression. Based in Stadium Venecia, we have all the necessary facilities to have a good time. In Zaragoza, there are many ‘stadiums’. 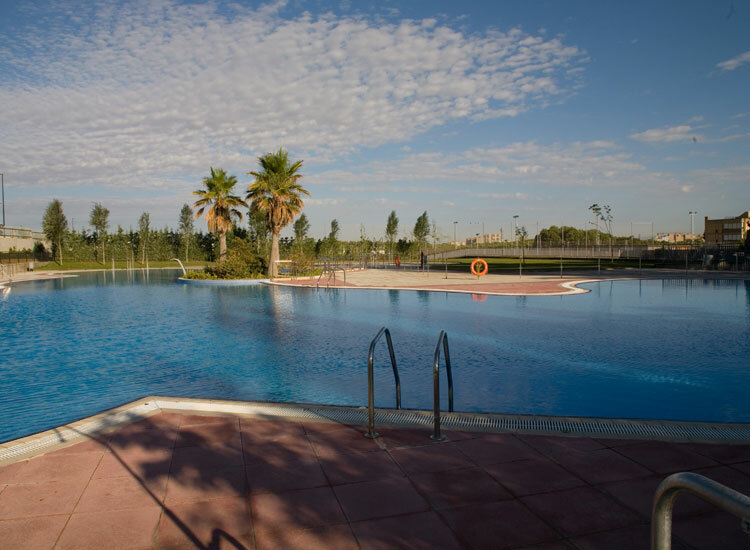 A stadium is basically a private club, with sports facilities and private swimming pools, which allow their members to take advantage of the scorching summers in Zaragoza. In the stadium we have artificial football pitches, tennis courts, basketball courts and other sports facilities to play, several swimming pools for games and classrooms for our English lessons. The students particularly enjoy the swimming pools, which are great for the kids to play in, especially the lake. The days are enjoyable if a little tiring. We take the bus at 930 and return home at 1820. The camp lasts from 10 o’clock until 18 o’clock and there is a mixture of fun and English. In the morning the students have two classes of English each day, one hour of sport and another hour in the swimming pool, playing games in English. After lunch, the different classes prepare a play or song to perform at the exhibition on Friday. The drama has ranged from recorded advertisements to songs about the summer, written by the students. The students are all highly motivated and very competitive. We have three teams in the camp, the Vikings, Pirates and Redskins. The students win points in class, and in other activities, with the winning team receiving a prize. This has increased the competitiveness of the students as they battle for points. We have two weeks remaining in the summer camp, and it has been a great way to end an amazing year. After the camp I will spend a week in Barcelona with my family and head back to England for a few weeks. Unfortunately, my adventure in Spain will be over… for now. Next year, I will be starting over in Brussels, which will definitely be a challenge given my lower level of French. I have had a great time in Spain, and met some great people over here. Whatever happens, Spain will always be consider my second home. Over in Spain, the school year is coming to an end. The school term in Aragon finishes on 19th June, and the students will have nearly 3 months to relax and spend time in the swimming pool. This is partly because it is too hot for school and also due to the fact that there are no half terms. However, my time is already up in the schools, and last week was a week of farewells as I left my schools. This year I have been working in two state schools as an English language teaching assistant for the British Council. The British Council send thousands of assistants to schools in over 15 countries throughout the world. The language assistant is used in State schools to help improve conversational English and promote British culture. I have had a wonderful time teaching the students of a small Aragonese town just outside of Zaragoza called Zuera. The British Council Language assistants programme is definitely worth doing of anyone who wants to live in a foreign country and wants to learn more about a different culture and lifestyle. The typical language assistant works 12 hours a week, teaching several groups. This year I spent 4 hours in a primary school and 8 hours in the high school. It may not seem too many hours, but the work can be time consuming due to lesson planning and extra-curricular activities. In the primary school I spent the whole year with the same classes; two year 5 classes and two year 6 classes. As English is taught to Spanish students from the age of 5 (or 3 in some schools), the level is quite good for their age. The students are comfortable speaking about a range of topics. Due to the great tools available in Spanish primary schools, the classes were very interactive and we could use a range of resources. For example, as all students in year 5 and year 6 have access to a laptop, the students were able to make power point presentations or search for information on the internet. The interactive whiteboard also allowed us to increase participation in the class using computer programs. Throughout the year, the teachers have noticed an improvement in the students’ oral skills. They were confident talking to me and the boys were particularly interested in English football, wanting to know as much information as possible about the Premier League. The High school was a little different but equally fun. Due to the size of the high school, unfortunately I was unable to teach in every class. In the first half of the year I had one time table and then in the second semester I changed to be able to teach as many students as possible. I taught the majority of students in the high school, the equivalent of year 7 – 11. However, I didn’t teach the Bachillerato students (A level), as the emphasis is on grammar in these school years and there is no oral exam. The High school classes were very enjoyable and I will definitely miss them. As their level was higher, and they were capable of having a conversation with me, I was able to do a wide range of topics that increased their knowledge of British and American culture. In general my classes followed the units that the students were studying in class, but I was free to prepare anything. Some weeks we talked about topics such as technology or mobile phones, and other weeks we looked at British topics such as the London Olympics. For the older classes, we were able to look at video clips from St Patrick’s Day or Bonfire night. Also we worked with new songs from British artists such as Jessie J and Coldplay. It was great to see that some students had gone home and researched more about what we had done in class, which showed their interest was high. The classes were great fun and the students behaved very well with me; they would speak to me in the streets and really opened up about themselves. The experience has been very rewarding, and it has helped me to understand more about Spanish culture. Whilst programmes such as Erasmus allow students to live in other countries, normally, Erasmus students are surrounded by other foreign people or university students. The Language Assistant programme allows you to get fully immersed in the society. Not only do you get to know how the children live in another country, you interact with other teachers, parents and support staff. Aside from the classes, you can participate in the school life by helping on school trips and participating in School activities. For example, I have participated in Carnival in the primary school, where the schools wear fancy dress and perform for their parents. This year the older students performed thriller by Michael Jackson, and another class performed a Grease Melody. The Language assistants programme is a great opportunity for language students doing their year aboard or recent graduates who want to experience living in another country and learn another language. Also, Spanish, French and Germans can also participate in the programme by working in a school in the UK teaching their language to high school students. Here is the website for the pre requisites and how to apply. My final week in work was something I will never forget, with many students sending me cards and giving me presents, thanking me for my time. It has been a great year for me and hopefully the students have improved their English and they have gained more enthusiasm for the language. On the 22nd May, Spanish teachers in the public sector were back in the streets, protesting against what can only be seen as an attack on public education. These are testing times in Spain, with the country firmly in the eye of the storm of the financial crisis. Spain has faced one of its worst weeks in its attempt to avoid an intervention from Europe. Since coming to power in November, the Popular Party has been the perfect student for Angela Merkel, pushing through austere measures in an attempt to lower the deficit. The government’s austerity programme has left a mark on all aspects of Spanish life, from bus price hikes to suspended public works. Whilst the PP promised not to touch education or the health service during the election campaign, these sectors have been badly affected by cuts. On 17th May, the Spanish government announced cuts of €10 billion from education and health, which will have massive consequences for the future of the Spanish education system. Whilst the Spanish education system needs reforms, these cuts are going to severely weaken state education and will have a long lasting impact on society. Public education is seeing a 20% cut in its budget, and this can only worsen the situation in schools. Already we have seen the effects of cuts within education; In February, there were clashes between students and the police in Valencia, where conditions had worsened in state schools. Students were punished for bringing blankets into the school to keep warm, due to the fact that the heating had been turned off because of lack of money. Other schools have had the internet cut, with students losing a great learning tool. The cuts will also mean less teachers and a higher student-teacher ratio. From September, teachers in lots of autonomies will have two extra teaching hours on top of their normal 18 hours classroom time. Some teachers will also have to give classes in subjects they are not specialised in. These alterations will certainly affect the quality of teaching, with less time for teachers to prepare classes and and more students to look after. The Ministry of Education has altered laws to be able to reduce the number of teachers. The maximum class sizes will rise in both primary school and high school, with up to 30 students allowed in each class, which will also affect the teachers ability to take care of the students individual needs. 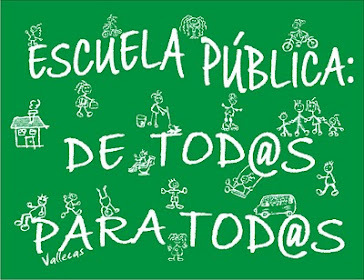 According to the PSOE, the reforms in education will mean that there will be 40 000 less teachers next September. Bigger classes and fewer teachers are not going to resolve Spain’s underlying problems in education. It already has one of the highest school dropout rates in Europe, double the European average for students leaving school without qualifications (26%). On top of this, social mobility is threatened due to the abolishing of some scholarships and the tripling of university fees. Teachers and students have both responded to this threat with action. Through the school year, teachers have been protesting the cuts by wearing a green t shirt. 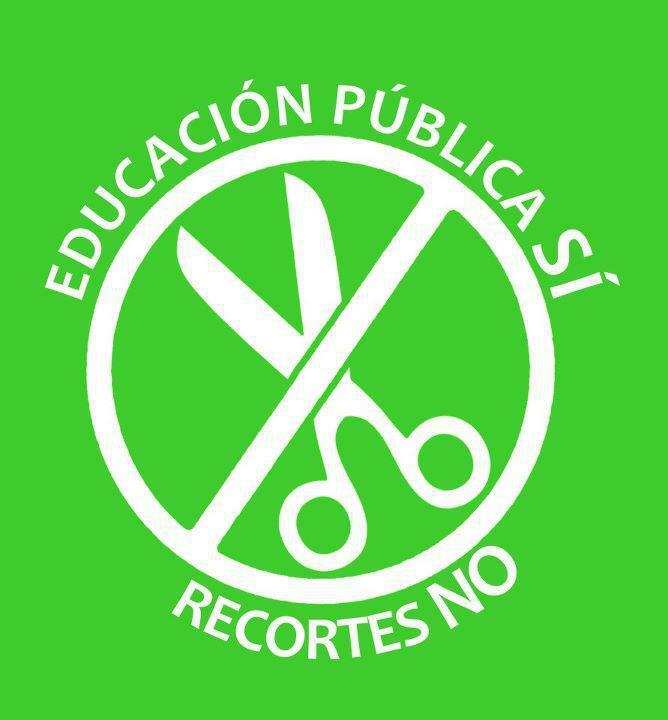 The green t shirt movement, which started in Madrid and has spread across Spain, has helped raise awareness of the students, who are participating well in the fight against the cuts to their education. On Tuesday, the strike was a success, with trade unions claiming a participation of 80% (whilst government sources put the figure at 19%). In Aragon, there was a high participation rate, and in my schools, the participation rate was put at 92%. However, with the absolute majority that the PP has in parliament, it remains to be seen whether this action can deter the government from pushing through further cuts. The government seem intent on continuing the reforming agenda, and it seems that further action will be taken by the teaching unions. Anyone who has visited a Spanish state school this year will know the difficulties being faced by schools. High schools across the country are decorated with anti-cuts posters and banners promoting their cause. 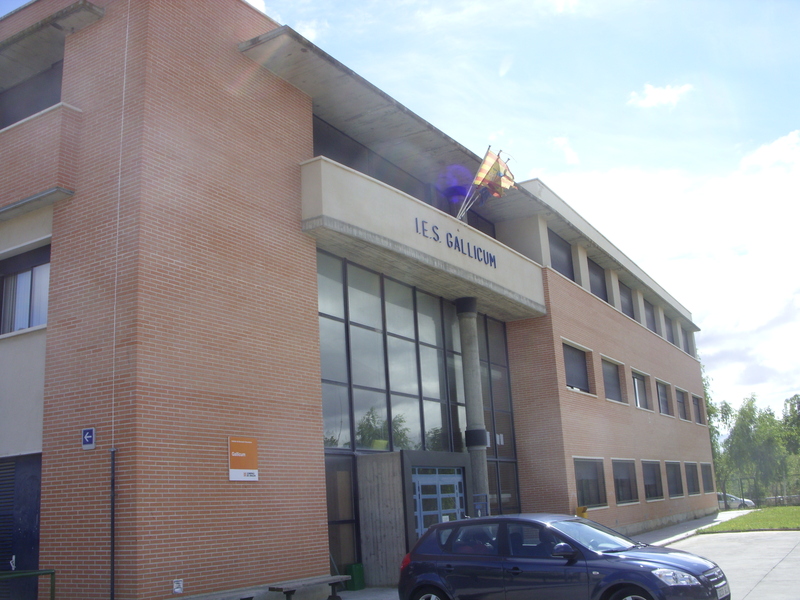 Next to the staff room in IES Gallicum, there is a sign that says ‘la educación no es gasto, es inversión’ (Education is not an expenditure, it’s an investment). By reducing spending on education, the PP are condemming many young Spaniards to a difficult future in a country where youth unemployment is already at an unacceptable level. Everyone has the right to free education. If the state does not educate the Spanish youngsters well enough, there will be long lasting effects not only for these youngsters, but for Spain, economically and culturally. More and more jobs in Europe require an education to college or degree level, and it seems that Spaniards will be left behind in the job market if they do not receive an adequate education. The beauty of public education is that Students are given equal opportunities to learn and progress, and many people have their teachers to thank for their success after they leave the school. However, with the increase in colegios concertados (schools which are partly funded by the state and partly by the parents), will we see a two tier education system in Spain? With those who can pay fees gaining a decent education and those who cannot condemned to a state school with overcrowded classroom and a lack of support from teachers? As the European financial crisis drags on and on, one has to ask the question, how long can young European’s wait for things to improve in their countries? The crisis has affected youngsters greatly, with less work prospects and opportunities to be found after university. On 2nd April, Eurostat published the most recent unemployment statistics which showed some worrying signs; not only has unemployment reached its highest levels in 15 years, but also it is showing no signs of improving, with more jobs expected to be lost this year in countries such as Spain and Portugal due to the lack of growth in many European economies where austere measures have been imposed without including policies promoting growth in the economy. Currently, 22.4% of Europeans aged between 16 and 25 are out of work, although this figure rises sharply in countries such has Spain and Greece, were the crisis has had a devastating effect on employment. Since 2008, youth unemployment in Spain has tripled due to the collapse of the construction industry. The increasing unemployment is bringing new trends in immigration throughout Europe. Whilst only a few years ago Europeans were moving abroad for new experiences and to learn languages, more and more European youths are emigrating out of necessity and due to desperation to find work. The crisis has brought to a halt the dreams of many Europeans, particularly in the southern states. The European youth, who have had the most investment in education, have grown up taking for granted job opportunities and careers after gaining a university degree. However, opportunities to find work are difficult, even though many hold good degrees and masters. Youth unemployment has already hit over 50% in Greece and Spain, and around a third of young Irish people are unemployed. There is no real short term solution for the many unemployed in these countries. Whilst one answer is to go back to college or university to study, many find themselves overqualified for the jobs that do exist, and in some cases, a master reduces their chances of finding work. This is leading to what the Spanish press are calling a ‘brain drain’, as many young Europeans have been left with no choice but to look for opportunities outside of their countries. In 2011, 50 000 Irish people left to find work in other countries and this exodus is expected to rise in 2012, with the most popular destinations for them being Australia and the U.K. Many young Europeans are making the painful decision of leaving the continent for opportunities as far away as Australia or Latin America, where the crisis has not been as profound, and the employment situation is healthier. However, there is a European solution for this employment crisis. Whilst the southern European states are suffering high levels of unemployment, the situation in northern Europe seems to be improving. In general, unemployment in Austria, Germany and Holland is improving, with German unemployment at a record low at 5.7% and youth unemployment at 8.2%. The freedom of movement for citizens in the European Union has facilitated immigration between member states, and is offering more possibilities to the millions of unemployed. Since the crisis started, more and more Europeans between the age of 18 and 26 are moving to neighbouring states to gain experience or find work in the profession that they have trained for. Whilst some are moving over for a short period to improve their language skills for example, others are leaving their countries with a one way ticket, looking to build their lives in a country which offers them work and a good wage. Emigration offers young Europeans a chance to gain experience and improve their C.V’s whilst also earning money. Emigrating is certainly on the mind of many who are struggling to find work. There are many opportunities within Europe for people to find work in a range of professions. For prospective teachers, a language teaching assistant job in another country allows the person to gain experience in the classroom whilst also improving their language skills. The British Council runs programmes for British students to teach in many European countries, whilst other Europeans can come to the U.K to teach their native languages in schools. For other professions, EURES allows Europeans to look for work across the continent and to upload their C.V. Normally for these programmes an existing knowledge of the language is required, although this could be acquired through an intensive course. For those looking for permanent work, there are companies throughout Europe which are looking for skilled graduates to take up roles outside of their countries. Germany has a shortage of skilled labourers, and in August 2011, Angela Merkel announced that Germany was actively seeking 200,000 immigrants to come and work in German industries. German companies are searching for talent from other European countries to resolve the problem. In April, the German engineering company Rücker AG advertised 500 positions for workers from Spain, Italy, Portugal and Greece. The company offer a two month language course for those who have a low level of German and a very competitive wage. With a shortage of Engineers, Germany has become a particularly popular destination for recent graduates. It is now up to other companies to take this lead and try to help in combatting the high rates of unemployment throughout the European Union. There is no short term solution for the countries which are suffering high youth unemployment; opportunities for young people in the southern European states look bleak. Whilst there is a lot of rhetoric about tackling this problem, there have been no concrete policies to improve the situation. Freedom of movement within the European Union invites citizens to move country without too many complications. Instead of staying in their respective countries, now is the time for the younger generation to take advantage of the opportunities within Europe, whether that is a full time job, or to learn a new language and use this difficult period as a time to enhance their C.V. Throughout Europe there are vacancies, and whilst there seems to be no light at the end of the tunnel, more and more youngsters are on the move. In the first three months of 2012, 27,000 Spaniards already left in search of a future elsewhere. The biggest problem is for the countries whose graduates are emigrating; these countries will not see a return from the investment made in their education, or receive their taxes which go towards funding the welfare state. Also, after settling down in another country, how likely is it that these emigrants will ever return? The choice to leave a home country may be difficult, but currently it’s the only option. The schools are off and Spain is celebrating the Easter holidays. Whilst many people are leaving Zaragoza for a well-deserved break, I will be staying here and relaxing. Fortunately there will be many events happening in Zaragoza to keep me occupied. Whilst back in the U.K, Easter is quite a secular holiday, Easter and Holy Week is a serious event in Spain, which is celebrated in the streets and brings in a lot of tourism. This week is a testament to the presence of the Catholic religion in Spanish society and is an event that is worth visiting. Around Spain, there are processions in the streets and other religious activities; In Logroño they celebrate Holy Week with some men lashing themselves with whips for example.The processions are organised by the local churches, and are normally comprised of marching bands, people holding big statues of the Virgin Mary and a station of the Cross which is held by six people. The other participants hold candles, which are a great sight during the evening processions . 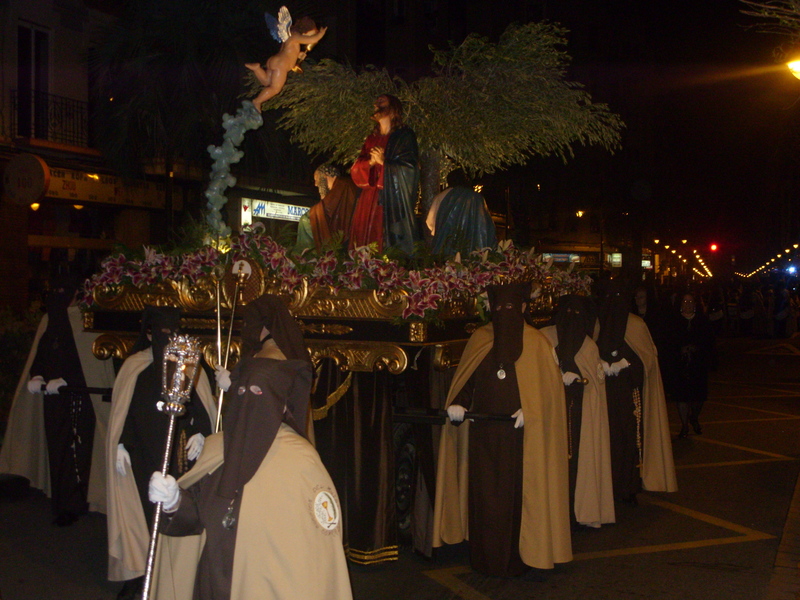 The people in the procession wear ‘el Navareno’; a long dress and a coned shaped hood which covers their face. 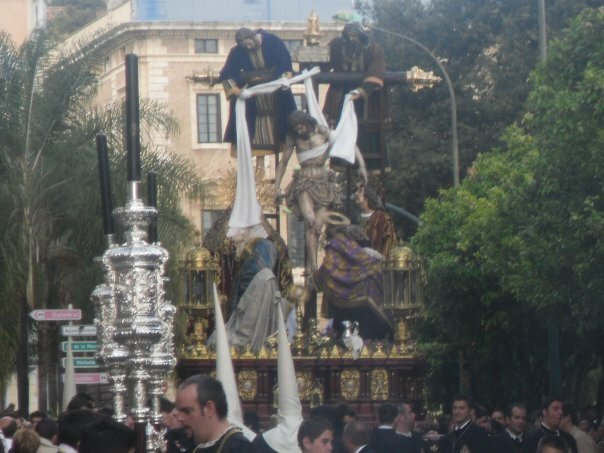 This is a picture from a procession in Malaga in 2009. In Zaragoza, Holy week is celebrated with daily processions, which began on Palm Sunday. Due to road works in the city centre, the route has been changed, but it is still a moving experience. 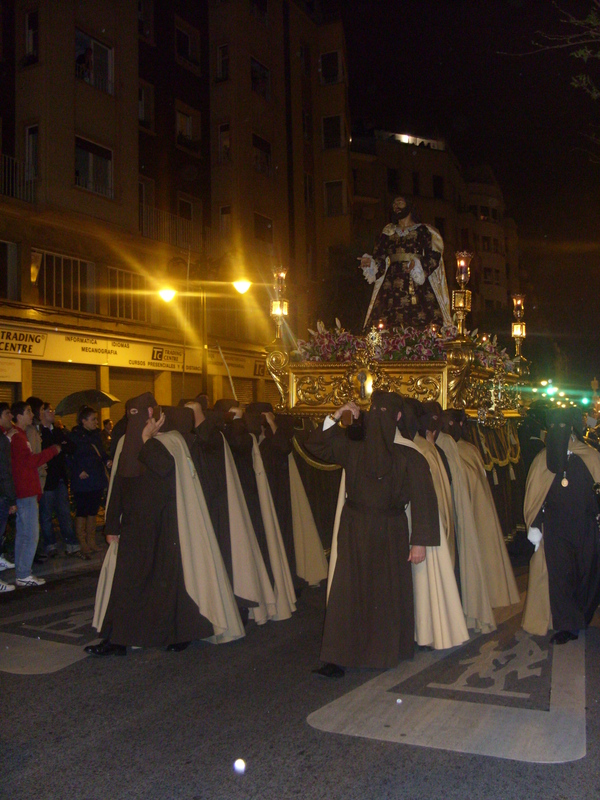 There are several processions each day which are leading up to the big procession on Good Friday, which starts in the early hours of the morning. The processions are well intended it is impressive to see the commitment shown by the people who are carrying the massive statues. The scenes in Zaragoza are imitated throughout Spain with most cities celebrating processions. For anyone looking to visit Spain at this time of the year, the best place to go is Seville, which is without doubt the best place to experience Holy Week. The celebration of Holy Week is one of the highlights in the Seville calendar, with a weeklong celebration of processions and masses. The processions are so popular that they are recorded live on local television. I had the opportunity to visit the Andalusian capital in 2009 and it was a great experience. The processions produce an unimaginable atmosphere, with people crying in the streets, overwhelmed by the events. The highlight of the week is La Macarena procession, which lasts for over 14 hours, starting at midnight on Maunday Thursday and finishing at 1430 on Good Friday. It is one of the biggest processions, which includes Roman soldiers and others in the traditional ‘Nazareno’ dress. This weekend Mariano Rajoy celebrated 100 days in power coming under increasing pressure from within and without Spain. The week started very badly, with the defeat in the Andalusia autonomous elections, and it is still unclear if they have lost in Asturias. Although Javier Arenas, the Popular Party candidate won more seats than the PSOE, the PSOE will govern the autonomy with the help of the IU (the United Left). Although Andalusia has been held by the socialists for 30 years, the Popular Party were convinced that they would win the election, especially given the big victory they had in Andalusia in November during the General Election. What is more worrying is that the Popular Party have lost 430,000 voters since November, which may suggest that public support is dwindling. Also, on Thursday, the first General Strike against the PP government was a success, with the strike paralysing transport and public services. Spaniards protested over the Labour Reform, which will facilitate laying workers off and also reducing wages. They were also protesting over the austerity measures which had been imposed on them. Over one million people took to the streets in what was a relatively peaceful protest in all parts of Spain except in Barcelona, where many banks and buildings were damaged, and the police fought with some protesters. However, the government vowed to carry on with the reforms, and in spite of the strike, the government announced the most austere budget in Europe on Friday. The cuts amounted to €27 billion, with an average of 17% cut in all ministries. The finance minister Luis Guindos, argued that the budget had been set to give confidence to the European Union and also to investors. Civil servants have had their pay frozen again and there will be a tax amnesty, where businessmen who have avoided tax will be allowed to pay a one off sum of between 8 – 10% with no questions asked. The economy is likey to shrink a further 1.7% this year and there will certainly be more cuts to come in Spain. On Monday, Mariano Rajoy was feeling the pressure, as news continues to worsen. Unemployment figures on Monday show that unemployment has continued to rise, and at 23.6%, it is the highest in Europe. Even more worrying is the fact that youth unemployment has hit 50.5%. Whilst there have been labour reforms, economists predict the job situation to worsen this year, with more people losing their jobs, particularly in the public sector. The Popular Party hopes that, with the Labour reform, employers will lower wages rather than lay off workers. In the last week Spain has been caught in the eye of the European storm, with many economists seeing Spain as the biggest threat to the Eurozone’s stability. All focus remains on the country to push through reforms, with Angela Merkel supporting the government and claiming that they are going down the right path.There is no easy solution to this crisis in Spain and Rajoy has assured the Spanish public that there was no choice to the harsh cuts in the budgets; it’s either austerity or intervention from Europe.